Jeff Cable's Blog: My first "real world" test of the Canon 5D Mark III - High ISO, silent mode and more! My first "real world" test of the Canon 5D Mark III - High ISO, silent mode and more! Last Saturday was the first time in years that I did not grab a 5D Mark II to shoot an event. It was a little sad to leave my trusty old friends behind, but very exciting to replace them with a couple of the new 5D Mark III bodies. Was there a little apprehension shooting with a new camera, sporting a different focus system, different user interface, new buttons, and new modes? Heck yeah. But like any good photographer, I spent some time with the camera in the days leading up to the Bat Mitzvah and even brought the manual with me. I had a good laugh, thinking about the family meeting their photographer as he reads the manual to his new camera. That probably would not instill a whole lot of confidence in them. :) But I brought it just in case. So...how did it go, you ask? Well...I can tell you that it was an amazing first run. Lets start with the new focus system. I have yet to learn it inside and out, but I did find that it was dead on. I had very few images that were not tack sharp. I did notice that the center focus point, which always lit up on the Mark II when it achieved focus, did not always light up on the Mark III. I may have to call my friends at Canon to find out what this is all about. But, regardless, it was focusing where I wanted and worked great. This was one of my first shots in the morning, and I did zoom in on her eyes, using the LCD of the camera, to make sure that the focus was doing what it was supposed to. During the service, I stood in the back of the Temple and shot using the Sigma 120-300 2.8 lens with a 1.4x teleadaptor, to give me an effective range of 168-420mm at f4. At this point I was shooting at ISO 3200, knowing that this new camera would give me nice clean images at this setting. I used the Live View mode on the LCD of the camera and would zoom in 10x to manually focus on their eyes. I can tell you that the new LCD is crystal clear and really helps to get that focus locked in tight! During a Bar or Bat Mitzvah, there are certain times when I know that I am going to shoot a lot of images. Whenever mom and dad get up and give their speech to their child, there is usually a great outpouring of emotion. It is usually at this point when I am firing off a lot of images in continuous mode. In the past, this has been a bit of a problem because the shutter is fairly loud and can be disruptive. I have even had the Rabbi, who is at the other end of the Temple give me that death stare. With the new 5D Mark III, I was surprised to find a new silent mode! This proved to be EXTREMELY valuable during this time. I could fire off 3 pictures per second and nobody heard a thing. I would say that this feature alone makes the camera worth the $3500, but that might be a little bit of a stretch. Needless to say, I will be using this mode for all images shot in a Temple or Church. When I shoot a Mitzvah, the vast majority of the shots are taken from the back of the room, from my camera and lens which are mounted on a tripod. But when the child walks through the congregation with the Torah, I move to the center aisle and shoot handheld, either with my Canon 70-200mm 2.8 or my Sigma 85mm 1.4. But low light levels can make this a challenge since they are moving towards me. It was at this point that I decided to jump to ISO 6400, which I would have NEVER done before. And just like my tests earlier in the week, the images looks great with just a minimal amount of noise (which I can easily remove in ACR or using NIK Dfine). Then it was party time and I was entering "the dark zone". (This is when you are supposed to hum the first few bars of "The Twilight Zone"). I shot most of the party at ISO 3200 and everything worked out great. But then...it was time to turn the lights out completely and run her video montage. I like to shoot these images without any flash so that I can get use only the ambient light coming off the screen. I found my subject and shot a couple of images and...uh oh...the shutter speed was too slow and they were really blurry. So blurry that even ISO 6400 might not work. Figuring that the 5D Mark III could handle the challenge, I cranked up the ISO to 10,000. Yes - I did say ISO 10,000! I shot a whole bunch of images and was amazed as I looked at the screen on the back of the camera. They looked great. I was even more amazed when I got home and saw the images on a 30" display. They still looked VERY good. Adding flash to a shot like this would have been a shame. I love this with just the red accent lights. These next two shots are why I was looking to upgrade my cameras from the 5D Mark II to the 5D Mark III. These were both taken at ISO 10,000 with very little light to work with and helped me get the key shots! Even if there were digital noise (grain) in these images, it would be acceptable to me. These photos are not about picture quality perfection, they are about the emotion that is captured in front of me. After a very long day (7:30am until 1:30am) with almost no down time, and 2200 images captured, I would have to say that I am thrilled with the new cameras. Sure, I know that the camera is just a tool that we use to create our art, but having the best tools available really does make a difference! 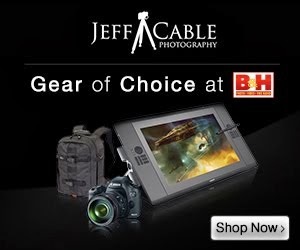 I agree Jeff, this camera is truly a game changer!! Monterey Bay: The California Coast at it's best!